Have a new retriever pup? Then check out this quick training video featuring Craig Klein of Fischer’s Kennels & Hunt Club in Albany, MN. Craig talks about how to start off your new puppy with some simple lessons both of you will enjoy. Force-fetch training goes by many names: force breaking, force retrieving, conditioned retrieve, etc. While the techniques that fall under these names vary a bit (here’s the right way to do it), the desired results are the same: to produce a soft-mouthed dog that retrieves to hand on command. Oddly, it’s a training technique that’s used a lot on labradors and other retrievers. 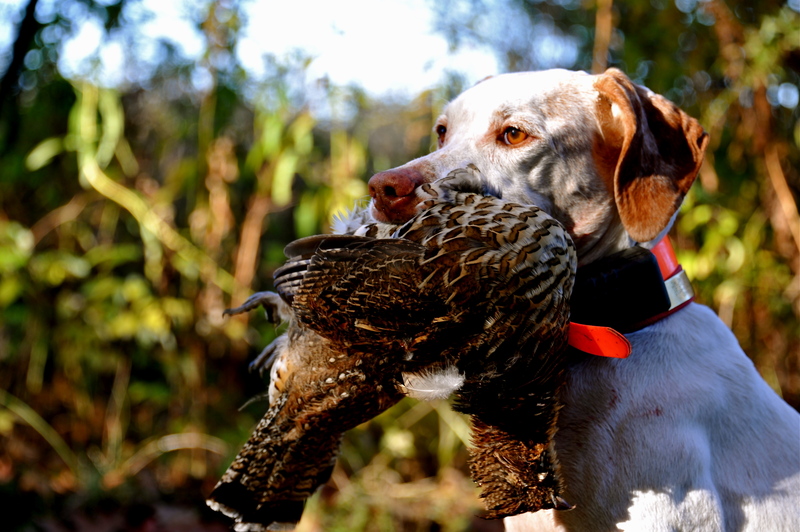 It’s also used more and more in the pointer world, especially on English Pointers and English Setters. While plenty of people agree with using it, not everyone thinks Forced Fetch is the best way to go. The folks at Superior Pointers are in this “not everyone” camp. You can read why by checking out this thoughtful article article from their website.